Are you a graduate student? Would you like to learn about citation management, thesis formatting, data management and more? Then make sure to check out our extensive listing of summer workshops below, care of Koerner Library’s Research Commons. 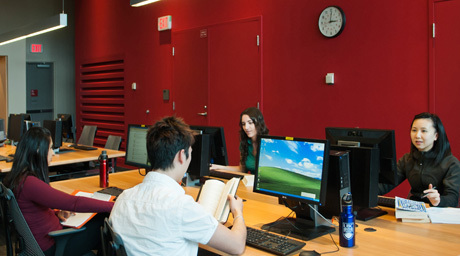 The Research Commons is a collaborative initiative of UBC Library, the Centre for Teaching, Learning and Technology and the Faculty of Graduate and Postdoctoral Studies. It is supported by a UBC Teaching and Learning Enhancement Fund grant. If you need to manage large numbers of references and citations as part of your research, teaching or administrative work, citation management tools are for you. These tools provide a simple way to store, organize and retrieve your citations in an effective manner, and can also help you format in-text citations and bibliographies in your work. This hands-on workshop introduces the main concepts of citation management and gives detailed instruction for installing and using Mendeley, one of the most popular citation management tools. This hands-on workshop introduces the main concepts of citation management and gives detailed instruction for using RefWorks, a popular citation management tool licensed by UBC Library. This hands-on workshop introduces the main concepts of citation management and gives detailed instruction for installing and using Zotero, one of the most popular citation management tools. Are you worried about getting your thesis/dissertation into the format required by the Faculty of Graduate and Postdoctoral Studies? Would you like to know more about how to use the formatting features in Microsoft Word? Research Commons staff will help you with your questions about the nuts and bolts of formatting: page layout, numbering, headings, front matter and more! As well, find out more about the resources that are available to help you in writing your thesis/dissertation. Graduate students at any stage of the writing process are welcome; some prior knowledge of Microsoft Word will be helpful. Do you know how to edit your data using effective data management software? Do you want to work with user-friendly software without going through the hassle of writing code? SPSS can do this for you with a few clicks. Attend this workshop and learn how to manage your data fast. Do you have trouble summarizing your data? Do you want to analyze it with t-test, ANOVA, Pearson-test, etc. using SPSS? Do you have trouble graphing and presenting your data with SPSS? We can help. Enroll in this workshop and learn how to analyze your data hassle-free! Regression analysis is a statistical process for estimating relationships among variables. We can use regression to make quantitative predictions of one variable from the values of another. Do you wonder how to conduct linear and logistic regression analysis with SPSS? Do you want to learn about simple and multivariate regression modeling? Register for the SPSS Regression workshop to get a sense of it all!